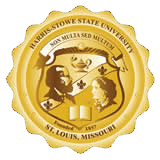 2019 is going to be a great year for HSSU Employees! Benefits eligible Employees are asked to participate in 2 of 3 group challenges that will be provided on the OneCommunity website in 2019. Employees who do not participate will be assessed a $26 fee. More information will be coming as each challenge start date nears. Give these challenges a try; you will begin to form healthy habits through physical activity, improved nutrition and more. These simple solutions will help you “Discover your Possibilities” for a healthier way of living.